Ten proven practices to help create more love and connection in your relationship. 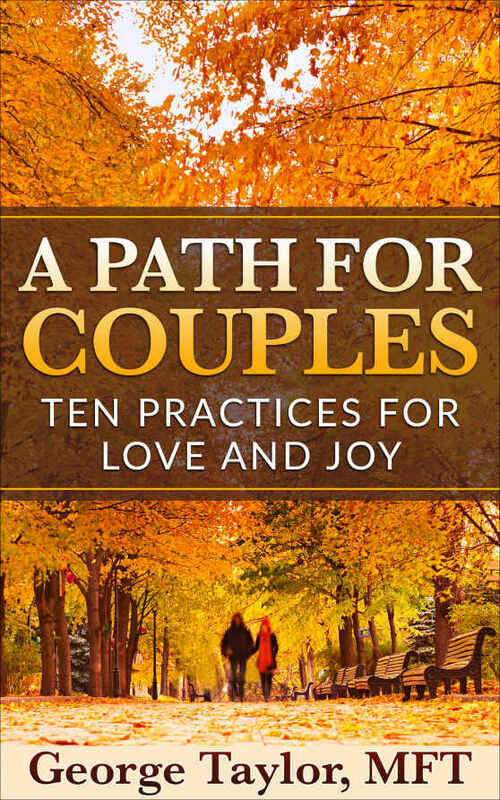 To celebrate the release of the A Path for Couples eBook version on Amazon, I'm giving you a FREE video recording of a recent ONLINE COUPLES WORKSHOP when you purchase your copy! 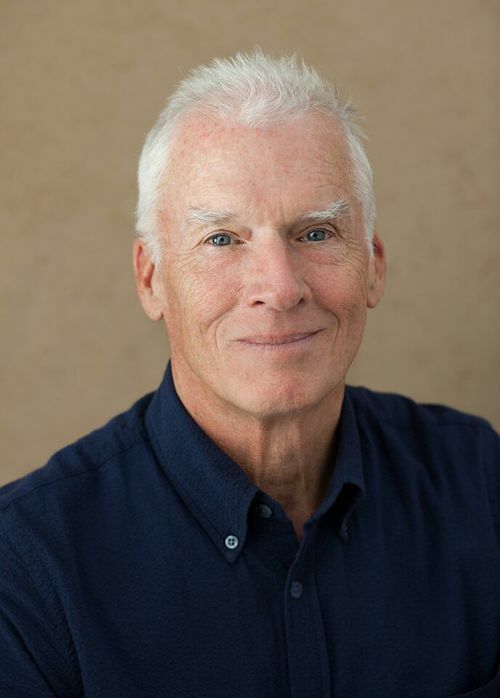 GEORGE TAYLOR, Licensed Marriage & Family Therapist has taught the Ten Practices to thousands of couples through private sessions, workshops and online classes since 1985. He has a life-long interest in learning how to create more love, happiness and awareness in relationships, including his own marriage of over 36 years. "After reviewing this short powerful workbook I immediately wanted to jump into the recommended practices with my husband! All couples gets caught in reactive patterns that limit their shared experience of love. The insights and exercises that George Taylor offers will give you a direct pathway to a profoundly creative, vibrant and open-hearted relationship." "In a friendly and funny voice, long-time therapist and mindfulness teacher George Taylor gives dozens of practical, powerful suggestions for couples wanting a happy and healthy relationship that lasts long after that first kiss. George gets right to the heart of the matter, with tools that could make an immediate and big difference for you." "In this book, George Taylor beautifully lays out a path to a very different kind of relationship: one of authentic communication and true connection. In practical, useful terms, the reader gets to see tools of self awareness (including of one's intentions), self inquiry, and transforming patterns brought to life." "It's hard enough to become a conscious person within yourself. To be conscious and skilled in intimate relationships is, for many, the last frontier. A Path for Couples provides a marvelous roadmap for navigating when the terrain gets bumpy. George Taylor's clear step-by-step guidebook to a more fulfilling relationship is both wise and full of heart." "George's book is a time-tested Path for Couples through the darkness of unconscious habits and communications to a place of love and intimacy. Couples who use the 10 Key Practices will be able to release bad communication habits and find deeper love and happiness. I highly recommend his work and appreciate his enormous heart." Are you experiencing any of these common patterns in your relationship? If so, you’re not alone! More than 90% of couple report issues like this and unfortunately more than 50% of marriages end in divorce. But it doesn’t have to be this way for you! Most couples know that they need better communication but don’t know where to begin. I’ve taught the Ten Practices to thousands of couples in my 25 years as a Licensed Marriage and Family Therapist. Download my A Path for Couples eBook and start rejuvenating your relationship today.